It is both a privilege and a pleasure to be the one to introduce you to this fantastic industry! The most critical aspect of developing and maintaining a successful career in diving is to remember that the dive industry is a business. You can enjoy a rewarding career in the diving industry and together with the right exposure your opportunities are limitless. Becoming a scuba instructor isn’t easy—otherwise everyone would do it! It will test your mental and physical limits. Some of the physical requirements, from the swim tests to the underwater gear exchange, make most folks slow down and really concentrate. But overcoming each and every challenge makes the overall victory so much sweeter. For some students, becoming a PADI instructor is their proudest life accomplishment.. I have been actively involved in the South African dive industry since 1995 and in particular as a PADI Course director since 2004! I own and run Reef Divers, PADI’s oldest South African 5 star Dive Centre, in the heart of Pretoria! My years of experience underwater, in the Dive industry and with training both technical and recreational diver students, will enhance your learning experience. JOIN THE WORLDS BIGGEST DIVING COMMUNITY! 70% of the worlds divers are PADI qualified! You will soon be part of the worlds biggest and best scuba training agency. Student worldwide asks for PADI training. Become part of the elite. ScubaNet is an official re-distributor for PADI materials in South Africa! Buy all your teaching materials directly from me! Contact me for more info! The PADI Open Water Scuba Instructor (OWSI) rating is the first PADI Instructor level attained by dive professionals. OWSIs take responsibility for introducing people to scuba diving through various PADI programs and courses. A specialty Instructor may teach the specialties that he is certified for. Choose any of the specialties that you like whether it’s Deep, Wreck, Photography or Fish ID. It’s up to you! 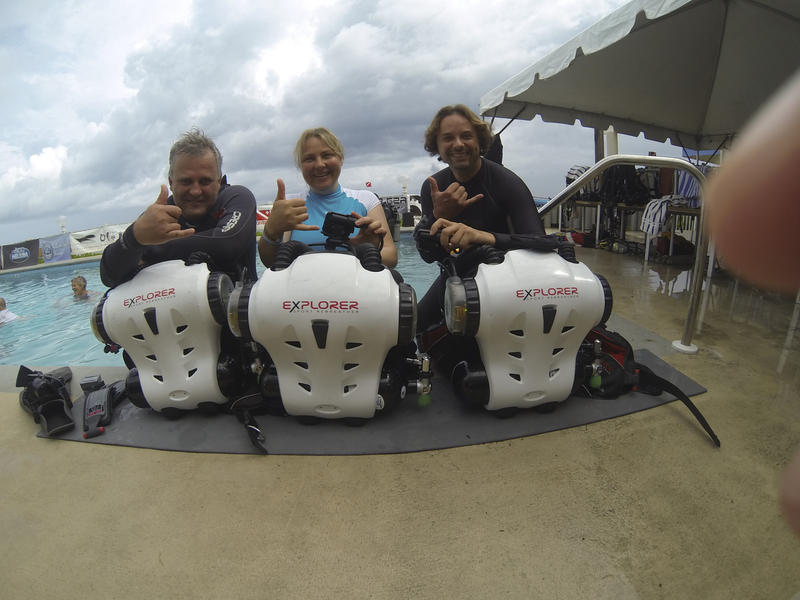 Always wanted to share your passion for Technical diving? Take the leap today! Every diver or student that comes to me is trained to the highest possible standard and educated with the best possible diving career in mind whilst being treated as a friend. My way of teaching has had much success and I will be the first to tell you if I don’t think you have it in you to be one! I will not lie to you or sugar coat anything! 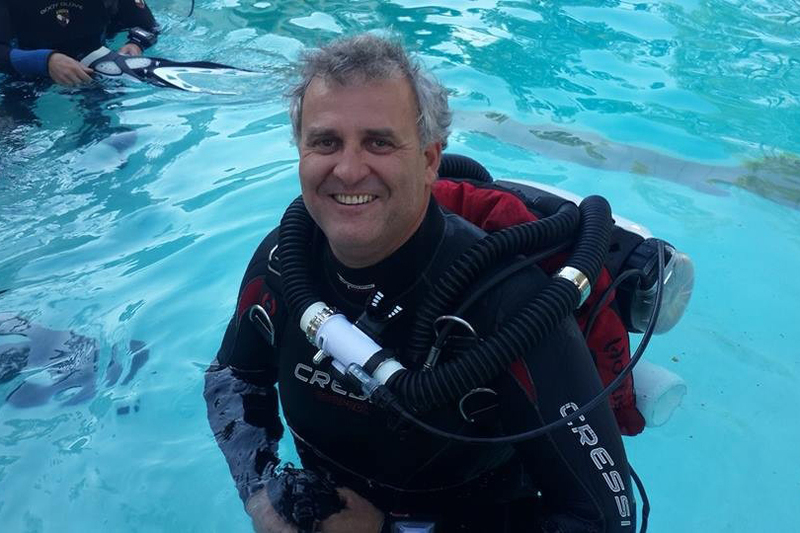 My name is Peter Herbst but I am better know as “BigB” in the scuba industry – a name I was given by my Open Water Instructor that stuck through the years! I started skindiving and spearfishing while still at school – and only got into scuba diving in the early 90’s – when only real men dived and Toyota was the only 4x4 in South Africa! My job then was as a Contracts manager in the Construction Industry, a management skill which stood me in good stead when I eventually started my own dive centre in Pretoria. I became a PADI Instructor exactly a year and 172 dives after my Open Water course and the hook was firmly set. I became a technical diver a year later and Technical Instructor 8 months after that. Cave diving and Rebreathers followed almost as a matter of fact and today I teach my passion. I still own and run a PADI 5 star IDC and actively help dive centers and instructors on a daily basis with diving related issues. Having paid my dues in the South African Dive industry puts me in a unique position where I do not just train new Instructors to meet Industry demands, but can also assist them with business ideas, marketing and problems that may arise from time to time …long after their IDC is completed. Building a network takes a long time – by joining forces with me you get not only the best quality training but also a short (but steep) introduction into the Industry….and support long afterwards. I am currently qualified to Teach ALL levels of PADI courses to Instructor level – including the PADI DSAT Courses all the way to Tec Trimix Instructor. Take a look at the up coming dates for our next IDCs. IDCs have to be done according to these dates as the examiners come from PADI head office for the IE! When you are ready, send us an email to ensure your space in advance! Need some help? Have a question? Not sure if this is for you? Send me an email telling me what you have on your mind and i'll try my best to put you at ease! OR, even better, come in and visit me! Let's chat over a cup of coffee!